More than 10 years after shunning the Murtala Muhammed Airport II (MMA2), Lagos, the management of Arik Air on Sunday announced the movement of its Port Harcourt Airport operations to the private terminal. The airline said on Sunday that all daily flights to Port Harcourt International Airport will cease to operate from the General Aviation Terminal (GAT) and will depart and arrive at MMA2. In February 2008, the airline was ordered to move its domestic operations to the domestic terminal. With the directive, the airline and Virgin Air were expected to operate their domestic and regional flights from the new domestic terminal, MMA2, while they park their aircraft at the apron of the General Aviation Terminal (GAT). But the airlines declined, leading to endless litigations between Arik Air and Bi-Courtney, the company in charge of the MMA2 concession. In February, indications emerged that the airline would move its operation to the MMA2. 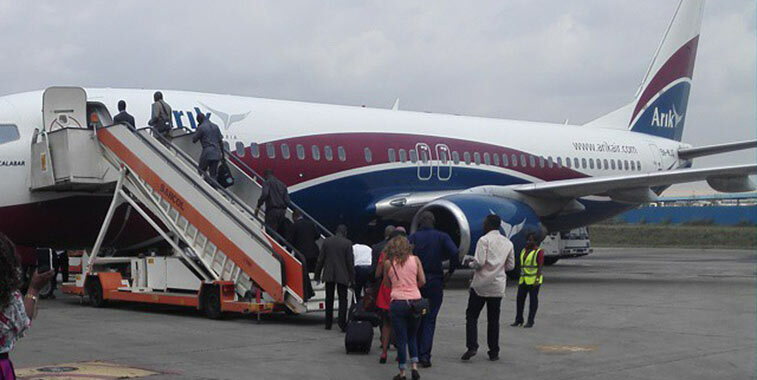 On Sunday, Arik Air’s Chief Executive Officer, Roy Ilegbodu, said the decision to move all outbound and inbound Lagos-Port Harcourt flights to MMA2 is informed by the need to enhance passenger flying experience. The MMA2, he said, offers spacious ticketing and departure experience, modern and functional escalators and lifts. The terminal also has automated check-in, generous waiting space, lounges, restaurants and shops. “We are daily reviewing our operations in order to give customers value for their money and enhance their travel experience. By moving some of our operations to MMA2, we are delighting customers with seamless travel,” Mr. Ilegbodu added. “In addition to the four daily flights from Lagos to Port Harcourt International, Arik Air also operates one premium daily flight from MMA 2 Lagos to Nigeria Air Force (NAF) Base, Port Harcourt. PREMIUM TIMES recalls that before it was taken over by the Asset Management Corporation of Nigeria, AMCON, the airline had issues with Bi-Courtney Aviation Services Ltd (BASL). Arik alleged that it paid N160 million for office space at the terminal in 2007 but no space was allocated for it, a development which compelled it to institute a legal action against BASL at the Lagos High Court. The airline later vowed it would rather fold up and take its operations to any other African country than fly from MMA2.